Keep Your Business on Track! All workshops are designed to help small businesses who prefer to “Do It Yourself.” With do it yourself website design and development you can learn to build and maintain your own website, sit in on strategy sessions to help you get Google-ized, and much more! Show off 360° of your business. 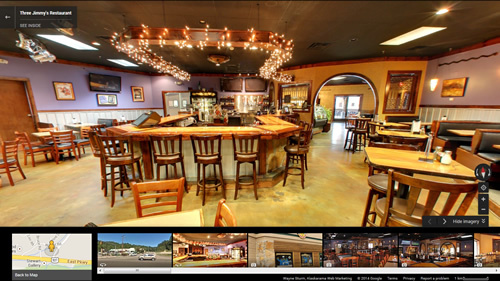 Tours go on Google Maps, Google Search and can be embedded onto your website. The 3-hour workshop was packed with useful information, great examples, and real-life applications on how to make my business and website more google-friendly. It’s easy to tell that Sandi and Wayne are passionate about helping out local businesses leverage their web presence. 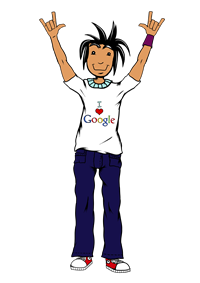 I took the Google-ize Your Business workshop with Sandi and Wayne and absolutely LOVED it. The workshop was fast-paced and jam-packed with information that you can use. They were outstanding in presenting the information. The attendee sitting next to me was attending it for the second time because there was SO much information given. Well worth your time! Great workshop and further consulting on inbound marketing with very specifics tips that our company was able to use immediately. I would recommend them to anyone or any company that needs help with web marketing and social media. I attended the LinikedIn class with Sandi Sturm. Sandi has a vast knowledge of social media and is very generous in sharing that knowledge in a very direct, easy to understand manner. Her slides are appropriate for the material and she’s great with off-the-wall questions as well as questions from the very tech savvy.